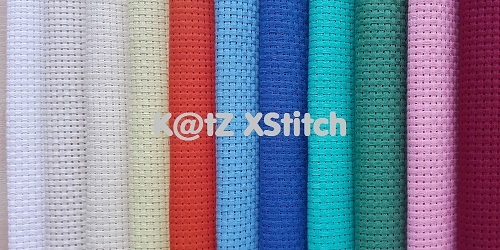 6ct Binca aida cross stitch fabric, available in 13 colours (lilac & black NOT pictured above) and 4 sizes. 6 count 50cm / 20in* x 50cm / 20in* Black Binca aida. 6 count 50cm / 20in* x 100cm / 39½in* Black Binca aida.